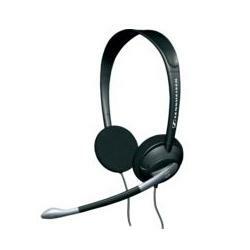 Sennheiser PC30 headphone is a starter headset which is designed for voice recognition, internet telephony and VoIP applications, and it’s suitable for listening to music via your PC or laptop too. The PC 30 headset provides noice-canceling feature and superior acoustics. ProClockers reviewed Sennheiser PC 30 headset and concluded that “for testing audio was provided by my on-board sound card on my DFI RS482 motherboard, which consist of the Realtek ALC850 8-channel AC’97 audio chip. During conversions on MSN and AIM the sound was understandable and clear. This really surprised me due to the fact that I am constantly on a Bluetooth headset and I thought that sound good. But the PC30 was much more crisp that my Motorola setup. Sennheiser PC160 headset is a pro-gaming open speaker system headset which provides true-to-life audio and unique 3D, 360 degrees surround sound. 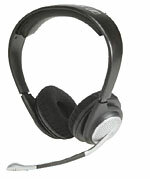 Sennheiser PC 160 also features large surrounding ear caps with velour ear pads for optimal comfortibility, adjustable, bendable and pivotable noise cancelling microphone, in-line volume control and microphone mute switch, extra thick single-sided cable and headband adjustable on both sides. ProClockers also reviewed Sennheiser PC160 pro-gaming headset and concluded that “to start listening to music was pretty sweet thru the PC160 headset. Because I do listen to several different types of music, some sounded better than others. Top Forty music sounded the best of all. The meds and highs were great over all. Hip Hop music sounded ok, except when it came to really low bass tones. The PC160 didn’t give me that movement I was looking for.